Tobii company has been developing eye-tracking devices for a long time. And if they used to cost fortunes before, now most users are able to touch the future with their own hands due to Tobii EyeX. This gadget got into our hands and we’re happy to share our feelings on it. Inside the cover, there are the controller itself, attachment instruction and USB 3.0 cable to connect it with a PC. Stting up is easy enough, so we won’t waste your time talking about it and get straight to testing. For the device you will require a PC or a laptop with USB 3.0 suppirt, quad-core i5 or higher CPU with 2Ghz frequency and 8Gb RAM. The distance from the device to a player is 40-100cm, display size – 27″. The appearance is plain and simple. 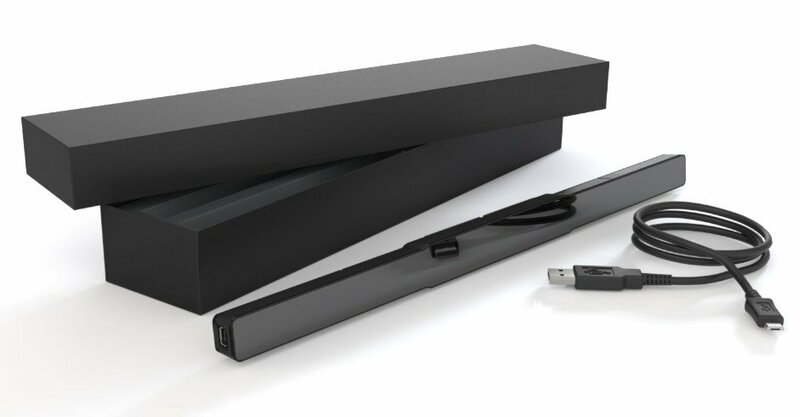 The small case is made of black mat plastic. 3 LED lamps are hidden behind a transparent plastic. The controller itself is made with quality, without any gaps or backlashes. The first thing to test the controller with would be a mini-game, which goes with the software. The most difficult thing for the first time is not to use the neck, as if this was a VR device. 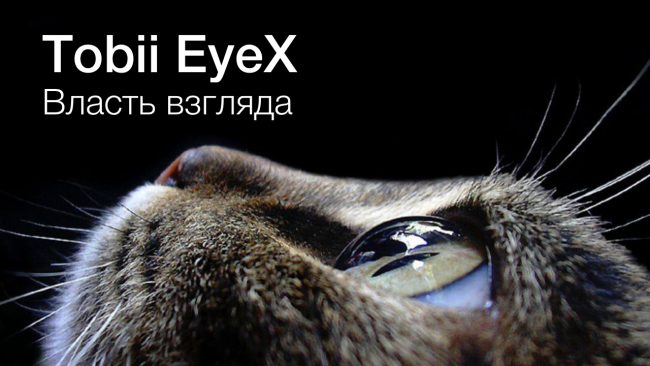 But we easily adapted, so it’s possible get completely new gaming experience with EyeX. There is an opportunity to change the look with lightspeed or, in No Man’s Sky case, look around in space without changing the main route. At first, it’s a bit unusual, when the camera gets to change without touching the mouse, but after 30-40 minutes of playing, everything is in place. What’s trully great is to look around during the flight. There comes a feeling of a stronger game involvement. Though, we really wanted to turn the controller off, when we move somwhere, as the charachter goes straight where you look. Another game we’ve tested is Assassin’s Creed Rogue. Usability here is indeed questionable. We didn’t notice any comfort, that would be more useful, comparing to common controllers. 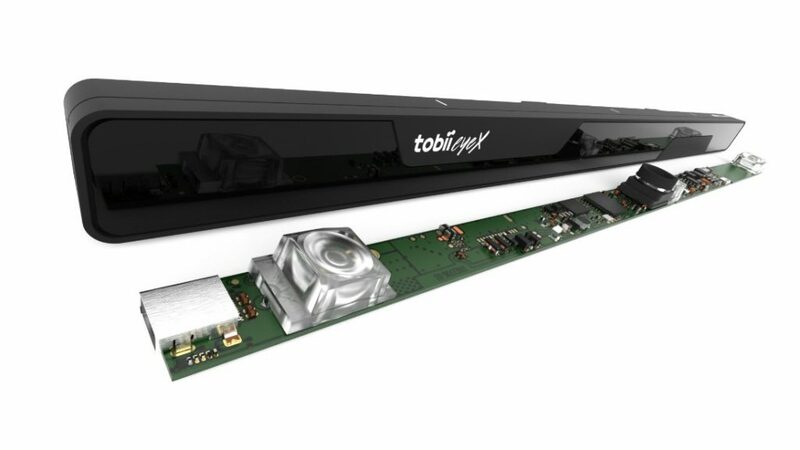 Long story short, games in which moving direction depends on camera look are not designed for Tobii EyeX, but games, in which players can simply look aside while moving bring new experience with EyeX. From time to time, we caught ourselves just looking around in space, not touching any controllers. The device can also be used in Windows. 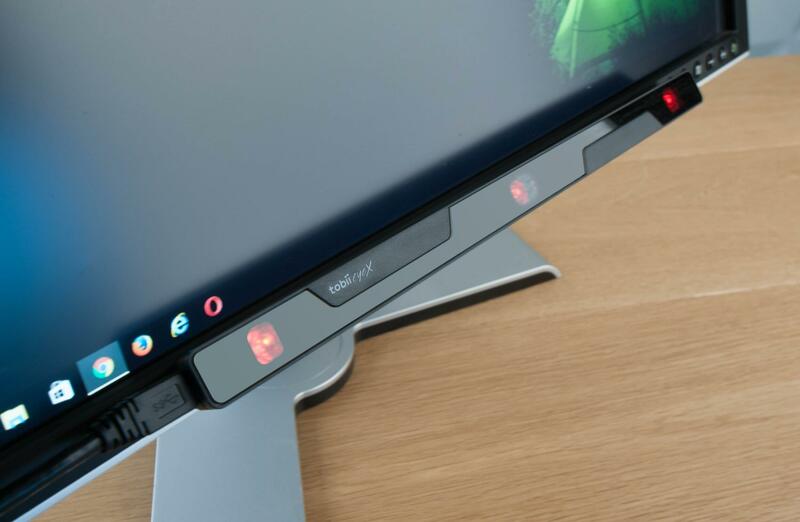 It’s most useable for people with 24-27″ desktops, working with many applications opened at once. The cursor will appear right where you look at. Unfortunately, it can’t be used with multiple desktops at once. developer’s web-site. There you can also find details on the development process and it’s integration into videogames.